ISIL terrorists have destroyed a number of shrines in Iraq and Syria — including Muslim holy sites — to eliminate what they view as heresy. As ISIL terrorists use power drills, bulldozers and explosives to destroy the cultural and architectural heritage of ancient Mesopotamia — Christian, Muslim and pre-Abrahamic from the ancient Assyrian capital Nimrud to the tomb of the Biblical Jonah in Mosul — western curators hoping to preserve what is left are caught in a dilemma. But others are loudly calling for an effective ban on trade in Assyrian antiquities and other relics from the war zone. They say the Islamic State of Iraq and the Levant is not simply eradicating the idolatry it denounces as heretical, but in fact is hypocritically selling what it can on a black market, and destroying everything else. 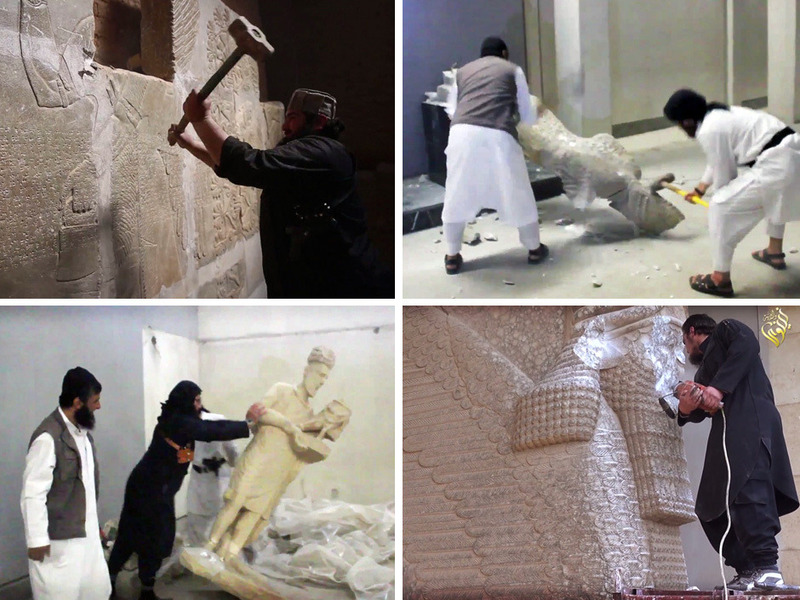 In this view, buying artifacts to preserve them in Western galleries is tantamount to funding terrorism.